"Outer beauty is a gift. Inner beauty is an accomplishment"
We make our customers shelfier, we mean happier with our pull out shelves. 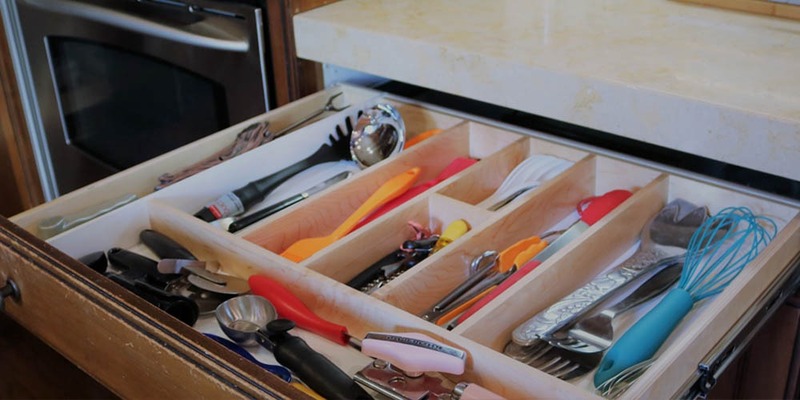 We bring every kitchen a little peace of mind with some organizational help. Just like people~Cabinet beauty is not only on the outside but on the inside~said us. Top Shelf Pull Outs creates customized solutions for your home. We work with you to build optimal roll-out shelves that work for you and your family. 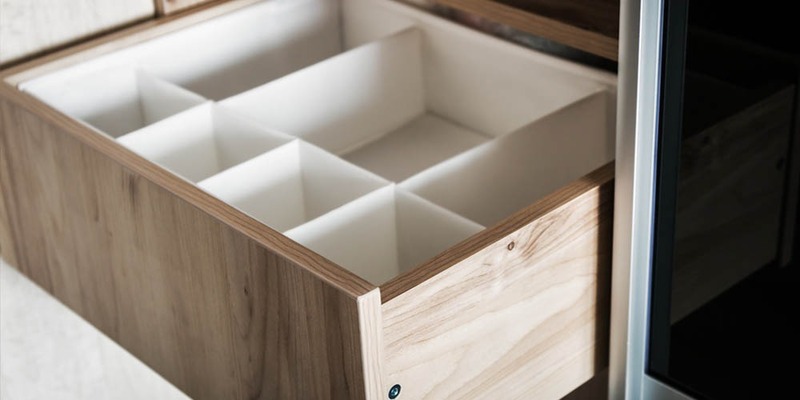 From tiny linen closets to four-car garages, we construct sliding drawers, that are also personalized and meant to match your lifestyle. Our roll-out shelving systems allow you to get the most out of your space. We strive to go above and beyond to present you with valuable, full-service pull-out shelving. As a San Diego based company, we are proud to construct a high-quality product that doesn’t break the bank. Think a Nieman Marcus product for Target pricing. The cost of production includes all items of construction such as the glides, testing, and wood. We have sold over 2 million pull out shelves since 2002, making us experts in the field. Top Shelf Pull Outs prides itself on the fact that it uses decade-old woodworking techniques to build sturdy, everlasting roll out shelves. We work hard to provide our customers with superior shelves by using only the finest materials. 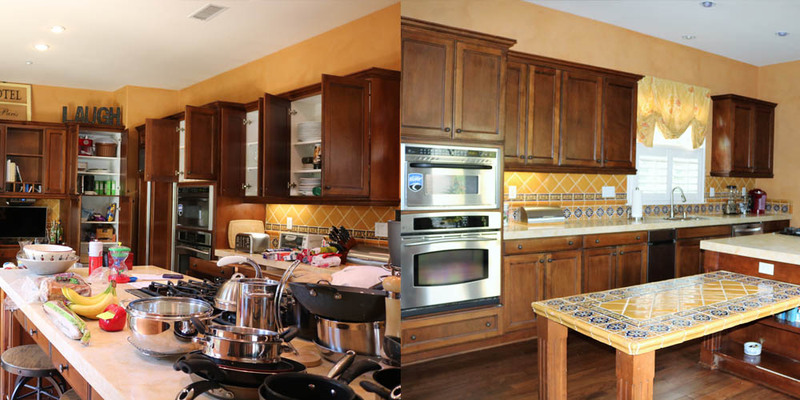 View more custom sliding-shelf installation before-and-after photos. Although our customers are primarily based around homes, we work with customers of all magnitudes and industries. Our clientele includes businesses who are looking to organize their product, office managers looking to optimize their location, and manufacturers who need a space for their handheld equipment. We can work with you and your location to deliver the proper roll-out shelving required for your items. The first step to our shelving process is to schedule a free estimate with our expert shelving designers. Our experienced organizational designer will come out to you to measure the areas in which you require pull-out shelves. They will leave you with a customized quote for any one of our tailored services. If you move forward with Top Shelf Pull Outs, the next step to customized slide-out boxes is production. 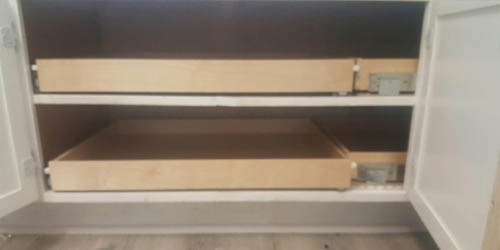 Our custom pull-out shelves are made to order within 7 - 10 days. Once built we schedule a date and time to come back and install the cabinets quickly and efficiently. No need to schedule any follow-ups, we take care of the whole process in two easy steps. The final step is installation. 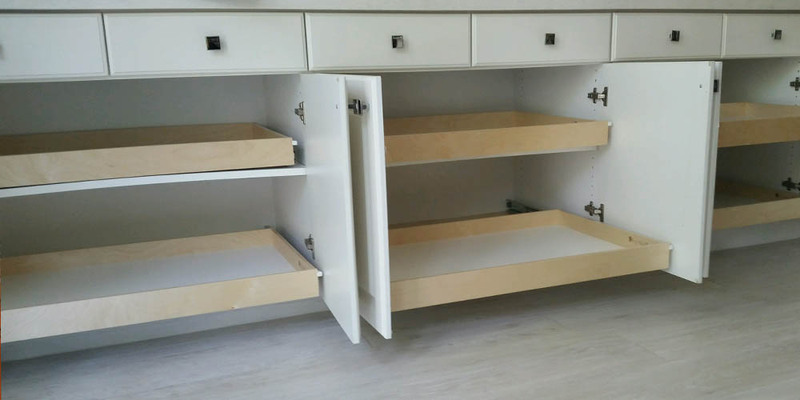 We professionally install your sliding drawers in one day to ensure you get back to your daily routine. After the installation, we offer a white glove service for those who are interested. If you need help organizing and maximizing your new installed items, we provide you with your very own organizer. Our organizer will come out and help categorize and put away all your belongings. This is the most professional company – from Rhonda who came out to show me samples and give me design ideas, to Curtis who did the most professional install! Top Shelf is the highest quality product and the customer service is as good as it gets! I tell everyone to get these – I promise it will change your life! Worth every penny and you wont believe how affordable it is! No more getting on your hands and knees to pull out pots and pans from the lower cupboards! I am beyond happy! Good job from start to finish. Treigh and Curtis were wonderful. Everything was done exactly as promised. Installer was very good. The best quality in pull out’s for your cabinets. I have been using this company since 2014. I just had a kitchen remodel and needed a few more pull outs since we took from one area to use in another.Even though the company has switched hands, the integrity is there and the best part is that Curtis the artisan makes it all happen. He is talented, clean and respectful. Thank you as always! Had a great experience from ordering to installation, everything was top notch and it made my kitchen so much more efficient & organized! Service and quality are outstanding. A solution was customized based on my needs and budget. No high-pressure sales tactics which are appreciated. Everyone collaborated so I could keep this a surprise gift for my hubby! Stephon worked extremely hard and made sure it all fit perfectly. Excellent service. These shelves were a Christmas gift and I am so happy! The installer was friendly, efficient, and professional. I would recommend Top Shelf to anyone looking for these amazing products! Thank you for a great product and service. Positive all the way around. Love my new pull outs. Curtis is awesome!! Stefan was great too. I used this company to help me organize my kitchen cupboards and make the out-of-reach cupboards more accessible. They did a remarkable job in half a day. Stephon and Curtis were totally professional and pay attention to every detail. Their prices were far better than the competition and the product is very sturdy and well made. My favorite part was the white glove service from Joyce the organizer so I literally didn’t have to lift a finger to reorganize all my pots, pans, dishes, cups and utensils. These guys know what they are doing. Absolutely loved the white glove service! Rhonda & her team were so professional and efficient! From the time I called to the time they were able to install was so easy. I am a busy professional, so I used the white glove service for them to put the stuff back in my cabinets, and it was worth every penny. The products are a much higher quality than the existing ones I did not replace. Can’t wait till we remodel our kitchen & get them in all our new cabinets!! Curtis just finished installing shelves throughout our kitchen, as well as a pantry, our master bedroom, and in a built-in bookcase. We are so impressed by the quality and look of the shelves, and Curtis’s professionalism overall. I must add that Curtis had to come to our house three times because we weren’t exactly sure what we wanted to do, and he was extremely patient and helpful with suggestions to get everything just right so that our home cabinetry will be much more functional for us. I wish we had done this earlier! Rhonda was great. I worked with her remotely to have cupboards updated and replaced for my parents in San Diego. She was responsive, professional, and very understanding of our needs and priorities. She responded quickly, I found the prices to be very reasonable, and she dialogue one on one with my parents to make them comfortable with the plan and process. We even had a follow up request after the job was done, and Rhonda was very understanding to support that, without any further charge. Overall, it was a very smooth and successful experience, and my parents are very happy with the product. We highly recommend them! Top Shelf did an excellent job with replacing and installing my new shelving. Everyone was very professional and timely. Like everyone else here, we are giving them 5 stars because we are thrilled with the drawers they installed this week in our old cabinets. Now it is a fully functional kitchen with pots and pans drawers, etc! Treigh and her installers are fabulous and really care about the customer. Loved what the installer said: “there are no problems we don’t have a solution for”. So, use these guys and just paint your old cab doors – Pull Out Shelf Co makes the insides new! They also maximize your space and add inches because they know how to measure and design it to work at a very reasonable price. Highly recommend! Rhonda was very professional and courteous. Stephon also was professional, courteous and never stopped working. We highly recommend Pull Out Shelf Company of San Diego. Everyone was very professional and knowledgeable starting with Treigh who came to measure and explain the product to us and then Curtis, the installer did a great job, as well. Very pleased with results. This company just installed some pull out shelves at my house. The price and quality is the best out there. This is a great way to modernize your old cabinets at a reasonable price. The owners, Rhonda and Treigh are awesome to work with. They can be reached at 833-867-7453. 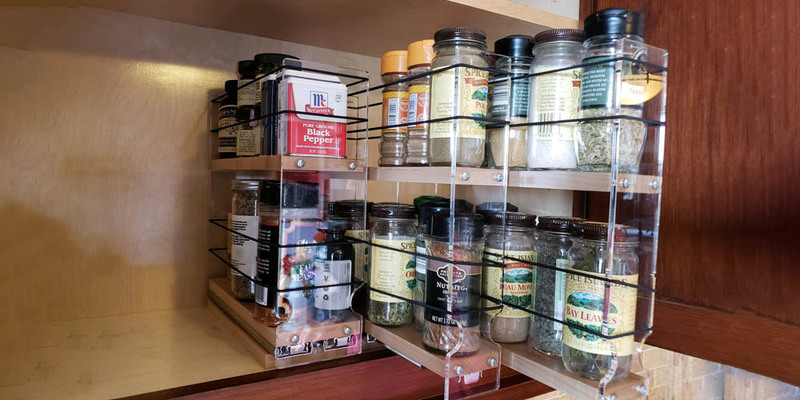 Talk about customer service combined with competence and a GREAT job – if you want kitchen pull out shelves look no farther. Curtis was amazing. He measured accurately, installed the shelves himself with tremendous care and craftsmanship coupled with a professional and kind attitude. The job was done in a responsive and timely manner. Couldn’t be happier. These guys did a great job for a reasonable price. My shelves were delivered and installed on time. Exactly what I ordered. The team was knowledgeable. They cleaned up after themselves. Not sure what took me so long. What a difference it makes. I can’t say enough about this company. Treigh arrived on time, very professional and got the job done. I’m very satisfied with their work ethics and the quality of their workmanship. Their price was the best! I’ll post pictures later. I am thrilled to finally be able to easily reach all items in my pantry. 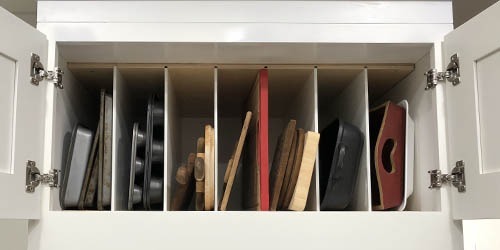 I am especially pleased with the file drawer for my recipes. I wish I would have done this a long time ago. I can’t tell you enough how those pull-out shelves changed our lives for the better. All my baking trays fit nicely. Thank you very much. It was great working with you. I will recommend you to all my friends. Great company! 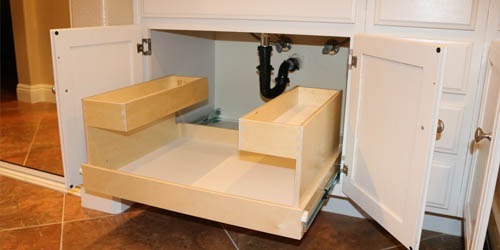 They did an amazing job with our pull out shelf’s in the kitchen and bathrooms. Everyone from the owners to the installers were excellent. Communication was great, they were on time and the overall product is well constructed. I have shared their information with all of our friends. I just wish I called them sooner. It has really made a difference for me in terms of getting to the items in the back of the cupboard. Love!! Love!! Very pleased with product quality. Sales people and installers very professional and personable. Worksite left very clean and quick turnaround time. 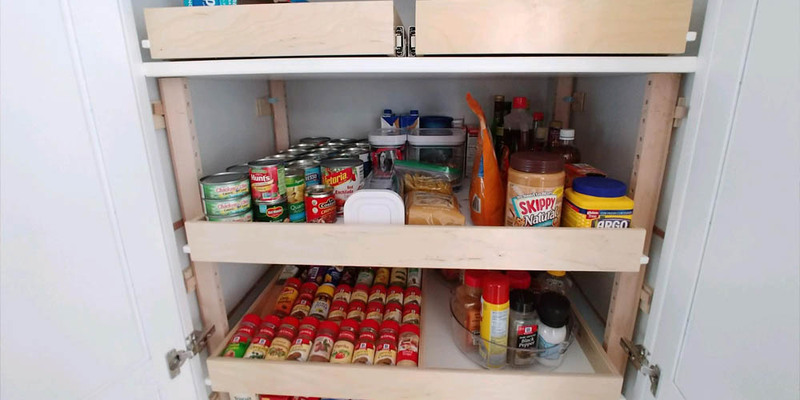 When you use Top Shelf Pull Outs, you are creating better access to your items. No longer will you have to awkwardly get on your hands and knees for your items. Everything will be properly displayed for your accessibility. If you struggle with your items being stacked up on top of each other like the 5 pasta strainers you didn’t know you had. Well, our roll-out shelves help you organize. Not only will organizing provide you with easy delegation, but you’ll also save time for other productive things in your life like cooking the pasta. If you struggle with finding new areas to put your possessions, why not optimize your space instead? 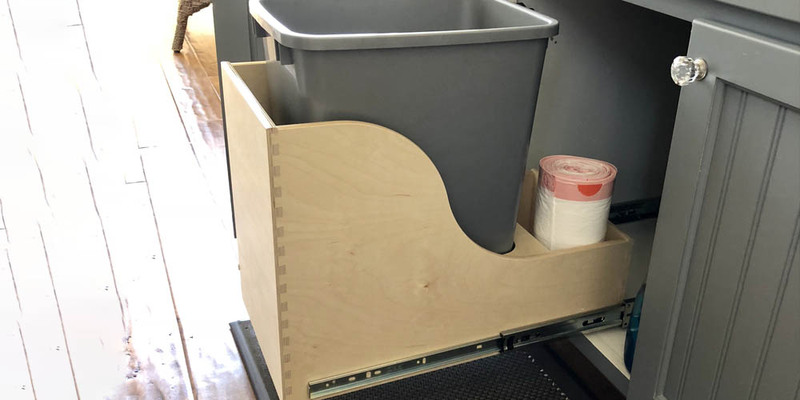 Pull-out shelves can create better utilization of your unused space, giving you more room in areas that you thought were useless. 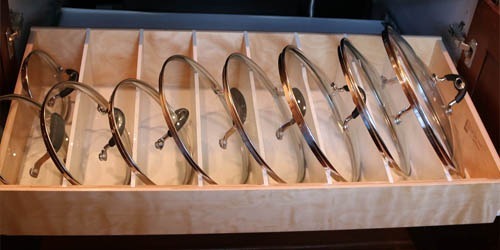 Our pull out shelves are custom made out of the sturdiest materials (using Baltic Birch and stainless steel glides). Unlike some of our competitors, our standard dove tail manufacturing allows us to provide clients with high-quality products and a limited lifetime warranty. Our closets are made from a variety of materials depending on customer selections and needs. We warranty our closets for one year after install.